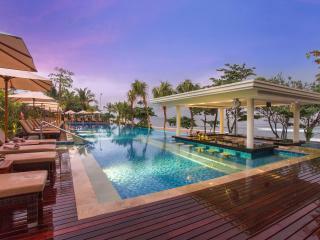 Super Bali Deal: Save Over 48% + Bonus Offers! Taum Resort Bali is conveniently located in the heart of Seminyak, within walking distance of the beach, restaurants, bars, shopping and cafes. 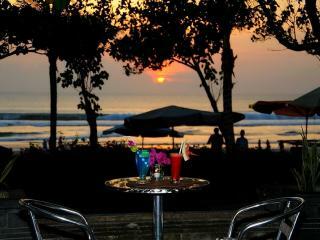 The tourist precincts of Kuta and Legian are also a short drive away. 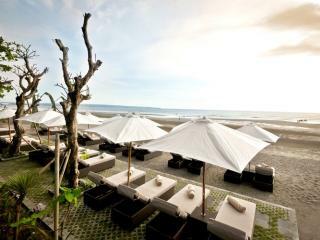 This Bali accommodation offers guests a great range of rooms and suites, with some featuring private plunge pools. Taum Resort Bali features a serene blend of Balinese and modern design, ensuring guests have all they need whilst surrounded by restful ambience. 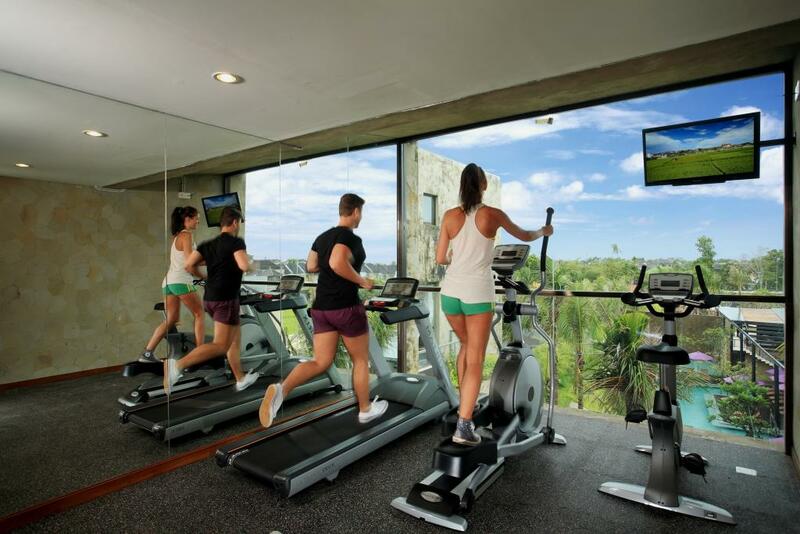 Facilities include a restaurant and bar, fitness centre, day spa and beauty salon, a main swimming pool and a children's pool. From here, you can easily explore the culture and activities of Bali, including elephant safaris, hiking, white water rafting, surfing and 3 of the most prominent temples - Besakih, Tanah Lot and Pura Luhur Uluwatu. 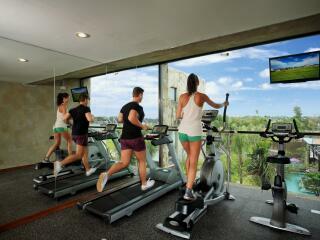 Taum Resort Bali is the ideal place to base yourself on your next family holiday or romantic getaway to Bali. Taum Resort Bali features 90 rooms and suites that have private balconies and daybeds. Some suites also feature their own private plunge pool. Taum Studio: Bedding is 1 Double Bed OR 2 Single Beds. Maximum room capacity is 3 Adults & Children. Taum Studio Pool View: Bedding is 1 King Bed. Maximum room capacity is 3 Adults & Children. Taum Duplex: Bedding is 1 King Bed + 1 Sofa Bed. Maximum room capacity is 3 Adults & 1 Child OR 2 Adults & 2 Children. Deluxe Space: Bedding is 1 King Bed + 1 Single Bed. Maximum room capacity is 3 Adults & 1 Child OR 2 Adults & 2 Children. Private Pool Duplex: Bedding is 1 King Bed + 1 Sofa Bed. Maximum room capacity is 3 Adults & 1 Child OR 2 Adults & 2 Children. Deluxe Space with Private Pool: Bedding is 1 King Bed + 1 Single Beds. Maximum room capacity is 3 Adults & 1 Child OR 2 Adults & 2 Children. Family Residence 3 Bedroom: Bedding is 1 King Bed + 2 Single Bed. Maximum room capacity is 4 Adults & Children. Family Residence with Private Pool: Bedding is 1 King Bed + 2 Single Beds. Maximum room capacity is 4 Adults & Children. Taum Restaurant: Poolside dining is available all day. Serving International and Indonesian dishes complimented by a selection of authentic Thai specialties. Taum Lounge: Offering light snacks and a wide selection of cocktails, fine wines and spirits, coffee, teas and chilled juices. Solar Lunar Rooftop Bar: Enjoy sunset with a lot of beverage promotion and Tapas accompanied with chilled out music over the night. In-room dining: Is also available for those who wish to relax in the privacy of your own room while romantic dinner can be arranged on the roof top or by the pool. Taum SPA: Includes a relaxation area and beauty salon and two treatment rooms. Relax your mind, body and soul with one of the many treatments on offer including manicures, pedicures, facials and massages. What a delightful boutique resort! Hidden away away from the crowds and traffic, this resort has everything from a great pool, to great food and drives waiting for you out front! Would definitely stay here again! Location was central to everywhere in Bali. Just a 1km from seminyak square which was great for shopping. Staff were beautiful. Breakfast was delicious. We had a fantastic stay. We caught taxis to all the great restaurants and beaches with no trouble at all. Taum is a great place to stay.